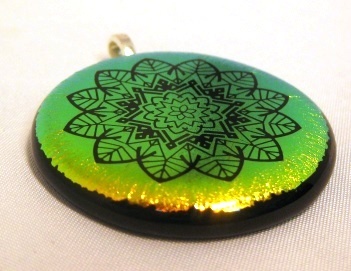 Neck jewelry, dichroic glass inlaid pendant, no chain or cord. Modern art look. 1.5" diameter. 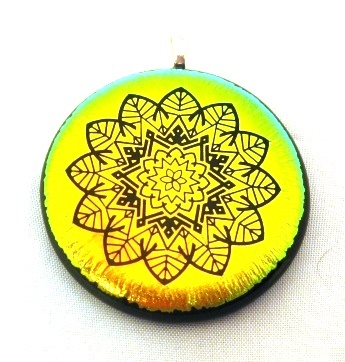 Etched sunburst on gold dichroic glass.